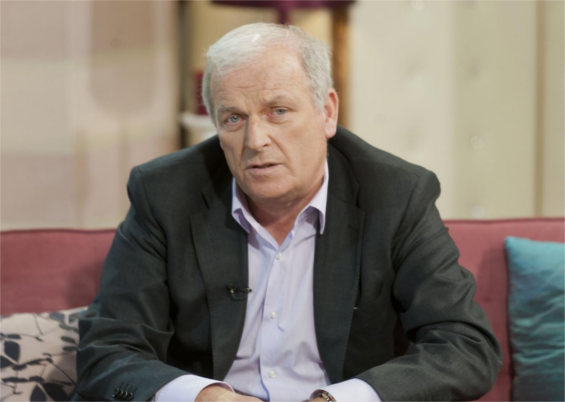 Executives at The Sun are in talks with the paper's former editor, Kelvin MacKenzie about his departure from the tabloid after a series of controversial articles, reports suggest. Mr MacKenzie, who edited the paper between 1981 and 1994 and until recently wrote a regular column, is said to be leaving the red top weeks after he was suspended for making what critics claimed were racist remarks, according to The Financial Times. The journalist provoked widespread condemnation for writing a column comparing Everton midfielder Ross Barkley, whose grandfather was born in Nigeria, to a gorilla. The column was printed after Barkley was punched in a bar in Liverpool last month. Mr MacKenzie claimed the Everton player was “thick” and said that when he sees the footballer he gets “a similar feeling when seeing a gorilla at the zoo”. He also claimed the only other people with “similar pay packets” in Liverpool were “drug dealers”. The Sun responded to the row by suspending Mr MacKenzie. At the time, a spokesman for News UK, which owns the paper, said: “The Sun’s columnist Kelvin MacKenzie has been suspended from the paper with immediate effect. “The views expressed by Kelvin Mackenzie about the people of Liverpool were wrong, unfunny and are not the view of the paper. “The Sun apologises for the offence caused. “The paper was unaware of Ross Barkley's heritage and there was never any slur intended. According to The Financial Times, Mr MacKenzie will not be returning to the paper. Sources said the decision was made by News UK’s chief executive, Rebekah Brooks, who was re-appointed by owner Rupert Murdoch after she was acquitted of phone hacking charges in 2014. “Kelvin will not be employed by News [UK] for much longer,” the FT quoted one person involved in the talks as saying. Mr MacKenzie was The Sun’s editor at the time of the Hillsborough disaster and was responsible for the widely-criticised front page, headlined “The Truth”, that suggested Liverpool fans were responsible for the crush that killed 96 fans. The paper has since apologised for the story and admitted it was untrue. Joe Anderson, the Mayor of Liverpool, welcomed reports of Mr MacKenzie’s departure from The Sun. A spokesman for The Sun only said Mr MacKenzie remained suspended from the paper when asked about reports of his departure, but refused to deny reports that he was leaving on a permanent basis.